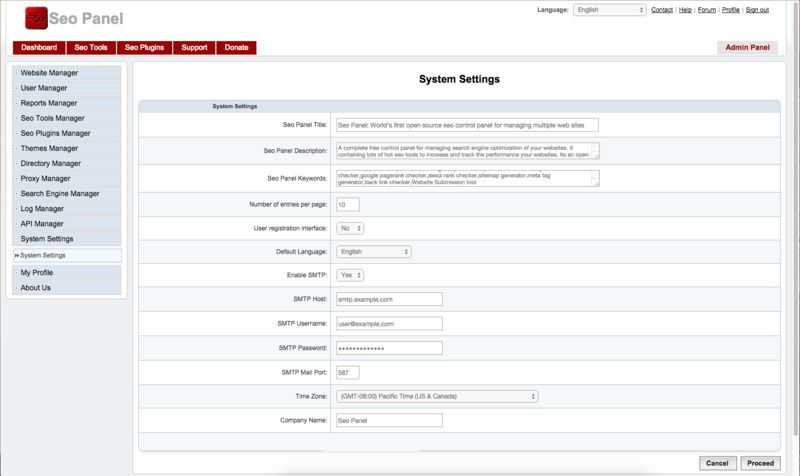 Enable SMTP Option and enter details for the SMTP server to be used for outbound email. For example, to configure a Gmail account, you could use the settings below. Replace USERNAME and PASSWORD with your Gmail account username and password respectively. Click “Proceed” to save your changes.